It's no surprise that smoking is dangerous to general health, but many patients are not aware of the damage smoking can pose to oral health. Smoking can lead to major issues like tooth loss and oral cancer. Oral surgeons Gerald W. Bird and Jay A. Johnson offer oral cancer screenings to help detect and treat oral cancer as early as possible. Before you light your next cigarette, you should consider the risk smoking poses to not only your general health, but also your oral health. 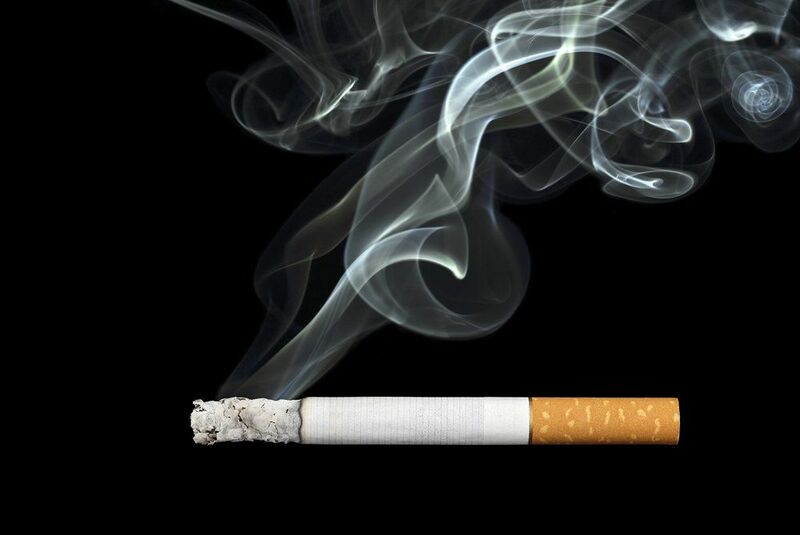 Learn more about the damaging effect smoking has on oral health in this overview from our Cocoa Beach dentists. Smoking poses many risks to oral health. The damage to the teeth and gums caused by smoking can greatly impact quality of life. If you smoke, it's important to understand the risks you're taking with your oral health. Nicotine and tar stains: The nicotine and tar in cigarettes will turn the teeth yellow or even a yellowish brown over time. This is a result of the nicotine and tar depositing within the tooth's enamel. Chronic bad breath: Smokers often suffer from chronic bad breath. This comes from the smell of smoking itself, and from oral heath issues more common in smokers, including tooth decay and gum disease. Plaque and tartar buildup: Smoking increases the levels of plaque and tartar within the mouth. This can lead to other oral health issues like gum disease and tooth decay. Tooth decay: Plaque and tartar are among the biggest causes of tooth decay. Smoking increases plaque and tartar buildup within the mouth, which also increases the risk of tooth decay. Gum disease: Gum disease is an infection of the gums caused by bacteria, plaque, and tartar buildup. Because smokers have higher levels of plaque and tartar, they are more like to suffer from gum disease. Tooth loss: Tooth loss is another possible oral health issue for smokers. Tooth loss may result from severe tooth decay, gum disease, loss of jawbone density, or even weakening of the soft tissue and jawbone attachment to the teeth. Increased risk of oral cancer: Not only does smoking increase the risk of lung cancer, it also increases the risk of oral cancer. Oral cancer is serious and can lead to death. However, if detected early, the chances of survival greatly improve. Dry mouth and salivary gland inflammation: Smoking can cause the salivary glands to become inflamed, which can result in dry mouth. Dry mouth is dangerous to oral health because saliva is intended to wash away plaque, bacteria, and food remnants from the mouth. Leukoplakia: Smokers may experience a condition, called leukoplakia, in which white patches form within the mouth. Leukoplakia is often harmless, however, it can be an indication of oral cancer. Quitting smoking and seeking dental treatment can help reverse the damage of years of tobacco use. To find out which treatments are right for you, we welcome you to schedule a consultation with Drs. Bird and Johnson.